Starting March 29, Air China will increase its Beijing-Milan services to daily, and starting June 1, it will increase its Beijing-Paris services to twice daily. These new flights will further meet the growing market demand and offer more convenient flight options to passengers, making travel to and from Europe much easier. The new flight numbers on the Beijing-Milan route are CA949/50. The outbound flight departs Beijing at 13:30 and arrives in Milan at 19:00 local time; the return flight leaves Milan at 21:00 local time and arrives in Beijing at 13:30 the following day. The new flight numbers on the Beijing – Paris route are CA875/6. The outbound flight departs Beijing at 02:05 and arrives in Paris at 07:25 local time; the return flight leaves Paris at14:10 local time and arrives in Beijing at 06:30 the following day. The two routes are operated with A330-200 aircraft. Business Class is fitted with ergonomically designed full-flat seats that can meet the needs of the most discerning business travelers and all classes of service offer personal AVODs and power outlets, keeping passengers entertained for the duration of the flight. 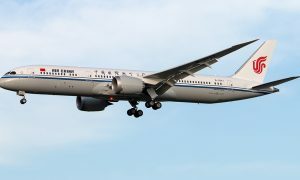 Air China also offers seasonal healthy meals onboard and chauffeured transfers for VIP passengers on the ground. Excellent amenities and attentive services guarantee passengers a truly pleasant journey. The newly added flights will further promote the economic ties and cultural exchanges between China and Europe. Milan and Paris are widely recognized world capitals of fashion, with Milan the leader of the world’s fashion industry and in 2015, all eyes will be on the Apennine Peninsula which will play host to the World Expo. Paris, steeped in history, is always synonymous with romance, elegance and delicacy. Whether enjoying the sunshine beside the Eiffel Tower or taking a stroll on the 19(th) century gravel paths, Paris is a place where everyone wants to linger longer. 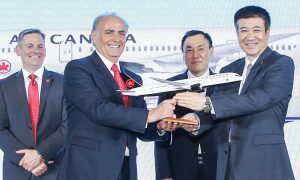 As a member carrier of Star Alliance, the world’s largest airline alliance, Air China has been continuously enhancing its European schedule, with Europe now Air China’s largest overseas market. 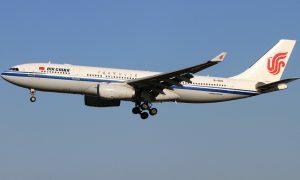 Air China has increased the number of its routes between China and Europe to 19, offering over 100 flights per week. Passengers can fly easily and directly from Beijing to 18 European cities including London, Frankfurt, Rome, Moscow and Madrid and by utilizing the extensive network of the Star Alliance, passengers can easily get to 1,328 airports in 195 countries around the world.